Getting rid of bad Yelp reviews is a hard nut to crack but you still can’t give up because the damage can turn bigger if uncurbed negative reviews get high ranking in Google. Acting quickly is the key to save a business from the aftermath of negative Yelp reviews. Saving the loss of visitors, ruined public image and brand hurt can be terrible if these links grow high authority. This is one of the biggest predicaments, faced by businesses in the current age where information is freely available on the internet. A gritty action plan is all that you need to deal with it and dwindle the impact of bad reviews. w3Police has a well-devised approach called AID, which assists businesses, brands as well as people hit with bad online reviews. This approach is divided into three phases called Analyze, Initiate, and Displace. Let us go through all of them one by one to have a better understanding. First of all, never panic and analyze the whole situation when you come across a negative feedback. Open nature of the internet allows everyone to post negative/positive reviews over the web. Instead of reacting straightaway to a negative review, you must first evaluate the status quo to ensure that you leave no stone unturned when acting upon it. In addition to Yelp, check other YELP related local review websites. Do you have negative review only on Yelp or on other sites also? Constantly monitor your negative review position on search results, but do not click the link. Create a list of all these local business websites and add your listing to it. Getting a bad review on Yelp can have negative implications. Studies have shown that on an average, a one-star increase on Yelp leads to a 5 to 9 percent increase in a business’s revenue. Therefore, when you find a bad review in your businesses name, you need to act upon it. This is where the second phase comes into existence. Claim your yelp business page ASAP - Yelp allows business owners to claim their business on Yelp, which allows them to respond to reviewers. 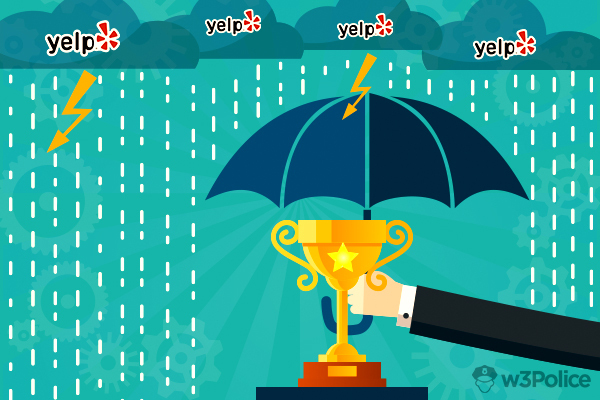 Try to improve the rating on Yelp itself - Ask your loyal/satisfied customers to post positive reviews for your business on Yelp. This would help you create a balance of good and bad reviews. Flag bad reviews - As a business owner, you can also request Yelp to remove a particular review stating it as not genuine/fake. False reviews are not acceptable on Yelp and business owners can contact Yelp sales representatives for the removal of these reviews. Read Terms of Service carefully - This would help you build a case against the bad review if it contains some TOS violation. This improves chances of removing a review quickly. Contact the reviewer personally - User engagement is one of the key areas where businesses need to focus. When you see a bad review by a user, try to communicate and understand the reason behind a review. Post a public response to the review - The best possible solutions for a bad review is to respond publically to users who have given you low rating so the future visitors can see that you take users’ comments seriously and work on fixing the issues raised. Clear the situation and make sure you are truthful. Partner with Yelp - There are regular events conducted by Yelp where the majority of those attending are active Yelpers. Put up a good show at these events and watch your Yelp rating grow over time. All of these online negative reviews can be very damaging, which is why it is essential you act in a prompt and appropriate fashion. Although the above-mentioned points can help, to an extent, in diminishing the effect of bad reviews, some businesses need extra efforts. This is where the help of professionals, who will work to remove the negative review of Yelp comes into existence. They will not only work on above-mentioned tips, but they will also help you with the third phase called displace. Sometimes, just responding to negative reviews might not be the best possible solution. The only other way to diminish the effects of bad Yelp reviews is to displace them by getting other results above it. You can start by creating business/personal profiles on Facebook, Twitter, LinkedIn, YouTube, your own website as well as your blog. Also, ensure that the information present on all these profiles is similar. Properly link social media profiles and try to get links from high authority websites like of Press Release. In addition to it, you can also establish a strong online presence, making profiles on different high authority websites. Creating accounts on blog sites like WordPress, Weebly and BlogSpot can also be beneficial. You can also post content on websites that will allow you to publish articles. You can also check websites that are coming below negative links. Interlinking them to your new posts and articles will offer them an advantage to surpass search engine rankings of negative links. Establish good relations with famous bloggers and approach them for posting your articles on high authority websites. In this way, you can leverage upon their popularity and user base to direct internet traffic to your website. 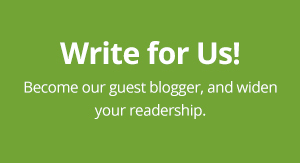 Add a review section wherever possible – on your website, blogs, and profiles. This way you can manage to show chosen reviews to users. This page, when ranked highly in search engines will let you counterattack any websites with bad reviews. Business owner should also encourage their satisfied customers to write positive reviews for them as more positive outweighs the negative. Make a video or write an article discussing all the negative and positive reviews, what have you done since you got the negative review and share it everywhere. Nothing matters more to users than a brand or business that takes cognizance of its users. Yelp is a great tool for attracting potential customers and improving your business. However, a bad review can surely prove to be a nightmare. You will have to deal with a bad review, no matter what. Luckily, there are many ways using which business owners can minimize the influence of negative reviews and encourage satisfied customers to share their good experiences. Additionally, use the above-mentioned AID approach by w3Police can make the whole process seamless. As discussed before, these points can surely benefit business owners, but for faster and more unwavering results, you need professional help. w3Police is one of the pioneers, helping clients eradicate negative results by incorporating best practices. Our personalized ORM strategies, range from creating user engagement to pushing down negative links and have helped us deliver results in most difficult cases. Contact us today to eradicate all of your bad Yelp reviews. Posted in Online Reputation Management and tagged as Bad Yelp Reviews, negative review on yelp, Yelp Negative Review Repair by w3Police.